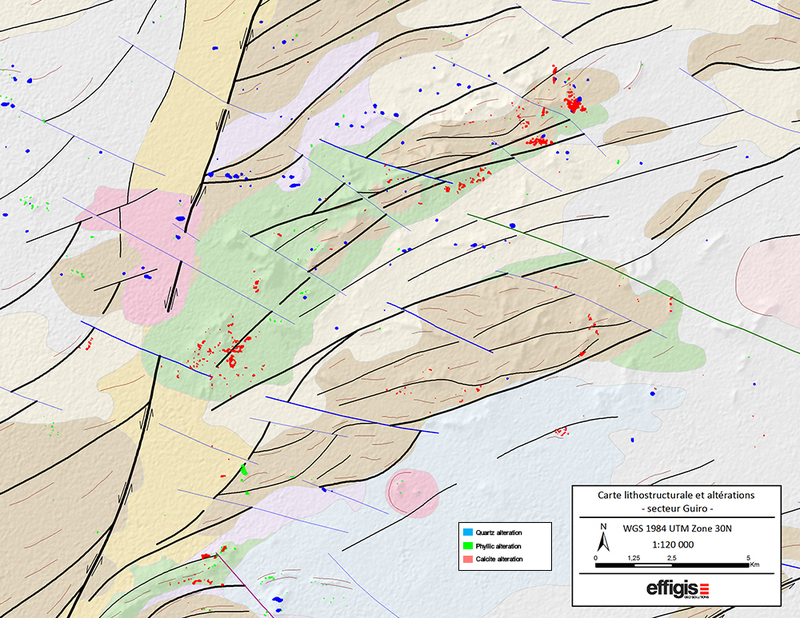 The mandate was carried out by the exploration company Les Ressources Komet Inc. in Northeastern Burkina Faso. One gold mining operation and artisanal mining activities were being carried out in the study zone. The targeting method is knowledge-driven, based on the geological interpretation of alteration zones, marker lithologies and structures in metallogenic context.